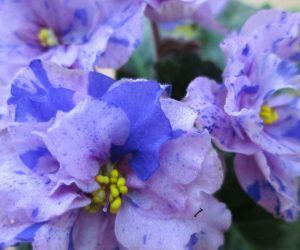 When the hot weather and vacations are here, your African violets may need extra help to make it through. 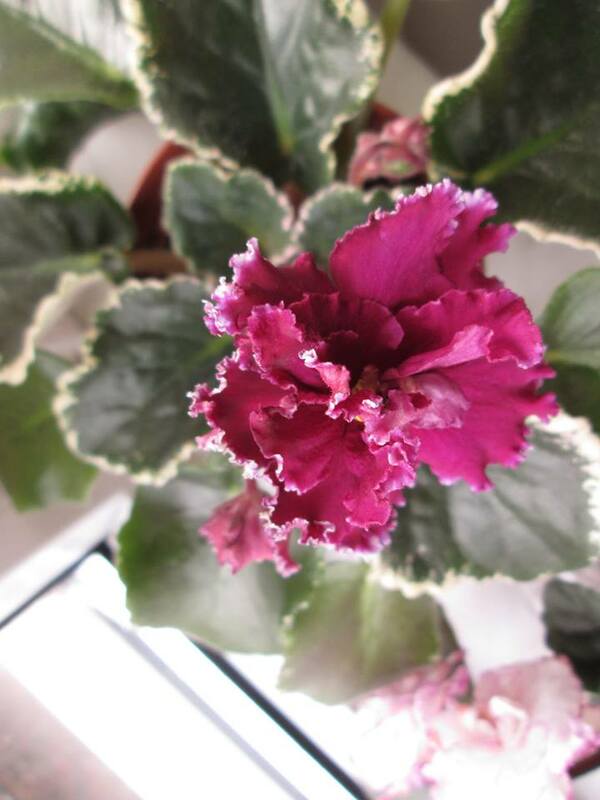 If high temperatures are getting the best of your plants a fan can help disperse heat generated by the light fixtures, or the lights may be run during the night when temperatures are cooler and left off during the day. 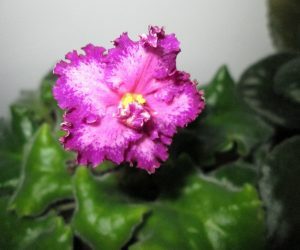 During vacations there are numerous ways to leave the plants on automatic care; Wicking in a sufficiently large container is one, and another is bagging up the plant. 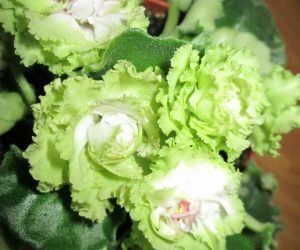 To bag up a plant, let it get to the barely damp stage (not too wet or it will rot), remove all blooms, and put it in a one gallon Baggie or, with a large plant, a Two Gallon Zip-Loc, or any other sufficiently large bag. Put straws or plastic pick-up-sticks in the soil and use them to keep the bag off the plant surface. Blow up the bag and seal. Put it back where is usually goes, just don’t let direct sunlight hit it. I’ve had great success with this method; Plants love the extra humidity and will go for months this way. I’ve even seen bagging expanded to light stands. The shelf and plants are enclosed with tented plastic, excluding the lights, and a fan used to disperse the heat from the lights. Foliar feed new babies for stronger plants sooner. To handle “orange crud” on babies, leach thoroughly, drain and put on plain water until more roots have grown. In the meantime, foliar feed. When you label pots, leave enough room on the label to note the date potted or the last work done on the plant. It is useful when you have a large collection and can’t quite remember what you did last or when you did it, but you’re sure you did it. A system of abbreviations is helpful, such as: gr – groomed, pu – pot up, rp – repotted, rs – restart, etc. 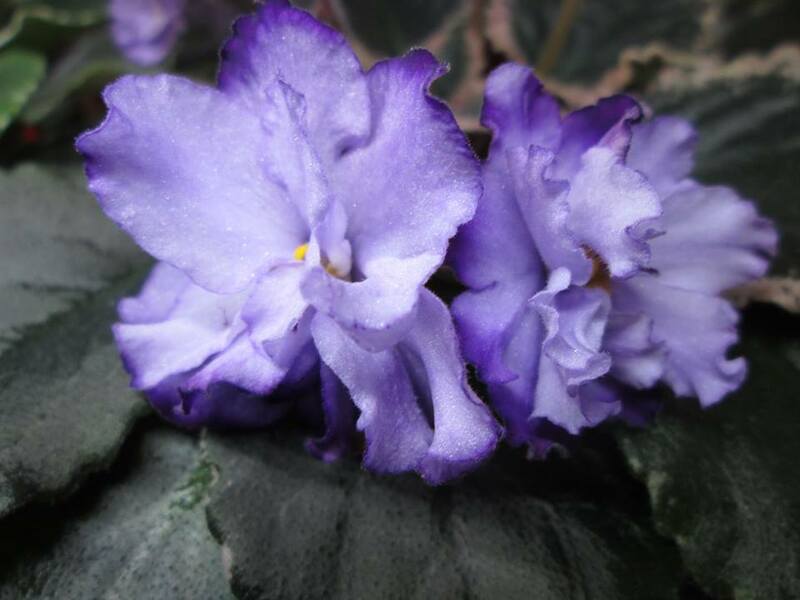 You can use aquarium solutions for eliminating Chloramines and Chlorine in our tap water for immediate use on african violets. During the summer heat, remember, reduce your fertilizer. Heat causes the microbes in the soil to become more active, releasing more nitrogen for the plant to use for growth. 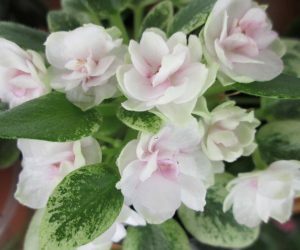 This is especially true for variegates. 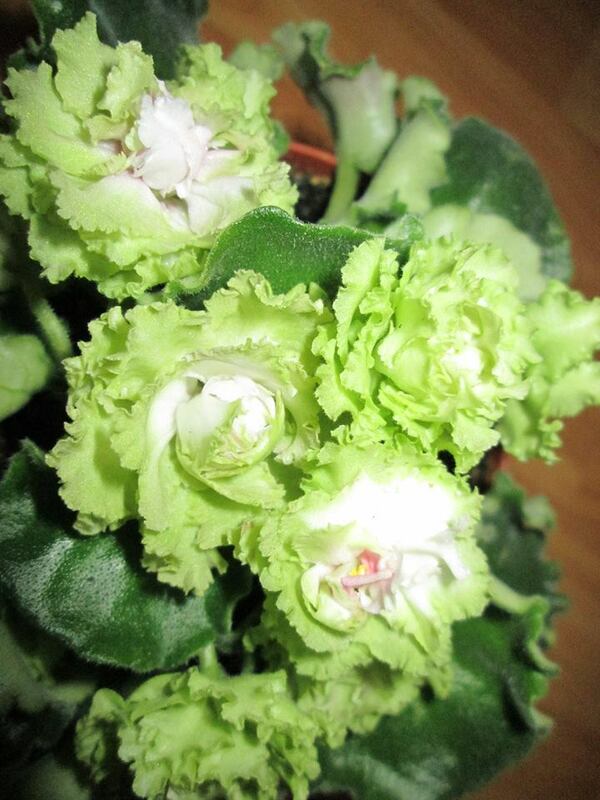 One reason why so many variegates turn green during warm weather. If you are left with brown fingernails after working in potting soil a swish through full strength Clorox for about a minute followed by a through rinse will remove the stains. 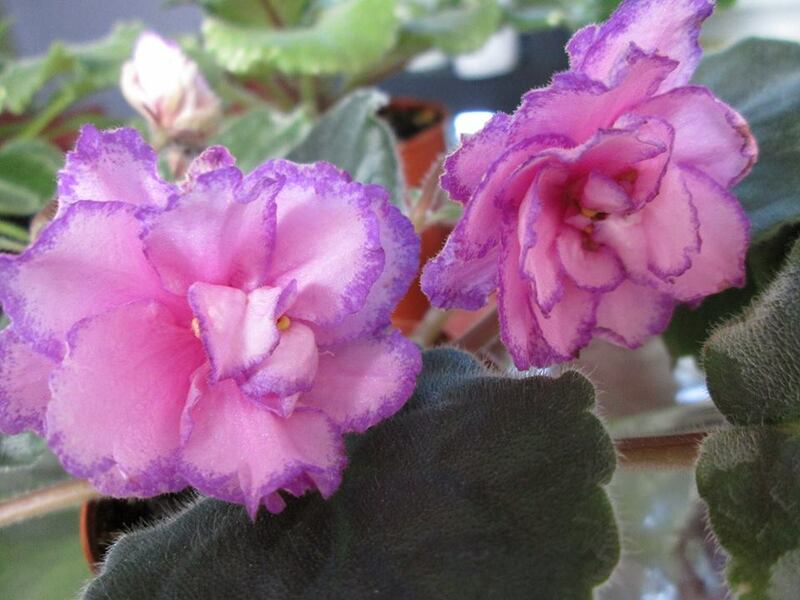 When misting or foliar feeding African violets add Funginex (an Ortho product for Roses) at the rate of 1 teaspoon per quart to control mildew. Don’t worry about over spray as it will kill mildew spores on surfaces. 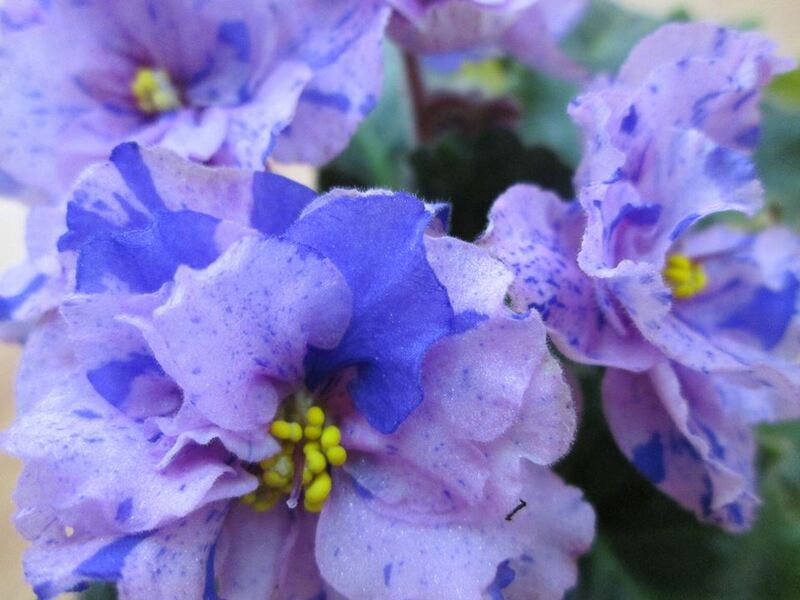 I’ve found that this virtually eliminates mildew. It has a very slight odor that isn’t objectionable. If mildew is growing on leaves it will still be visible as a white patch but will be dead. The black bottoms of 2 liter soda bottles can be removed by immersing them in boiling water until the glue softens ( about 30 seconds ). They already have holes in them and are great for trailers and standards. 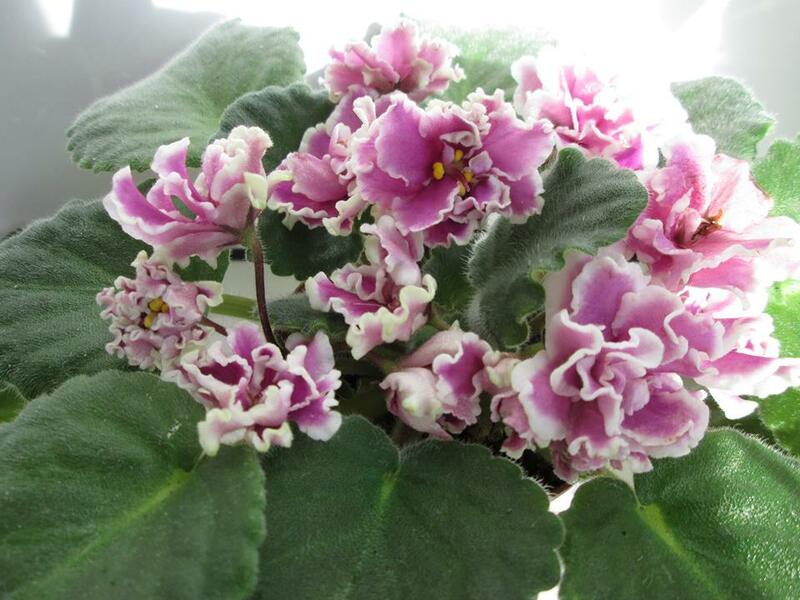 The zippered plastic bags that blankets come in make great greenhouses for African Violets babies and leaves. Cheap four ply acrylic yarn, that can be purchased on sale for about a dollar, makes great wicks. Make sure it is 100% synthetic so it doesn’t rot, and wet it well before use. When you leach your plants at the sink, use the opportunity to also wash the foliage. Be sure to blot out the crown and dry away from direct sun. For nice, full trailers (that you don’t intend to show) put down multiple leaves in the same shallow, broad container. Let them grow and pick off the mother leaf when the babies are up. Thin them as you see fit. When recycling old trailers, the same approach can be used with crown cuttings. This is a fast shortcut to a good looking trailer that usually takes years to grow from a single stem. Do you know how much those lights cost to run? A lot? A little? Can you afford to add another light stand or even run the one you have? Let’s learn how to calculate the cost of running anything electrical when you know the wattage required to run it. First, we need to define some terms. A kilowatt is 1,000 watts, and a kilowatt hour is the use of 1,000 watts in an hour. Now, let us assume that you are running a fixture that uses 2 fluorescent tubes rated at 40 watts each, and that the ballast uses 20 watts for a total of 100 watts for the fixture. You turn the fixture on every day for 12 hours. 100 watts an hour, 12 hours a day, 30 days a month equal 36,000 watts used in a month. ( 100 x 12 x 30 ) 36,000 watts is equal to 36 kilowatts. ( 36,000 divided by 1,000 ). Now, get out an old electric bill and follow along with me. To find the cost of a kilowatt of electricity divide the total electricity bill for 30 days by the kilowatts used in 30 days. If you’re really lucky the bill will tell you how much a kilowatt costs, but my utility thinks it is a big secret. Thus, if the charge is $157 for 1633 kilowatts the cost of a kilowatt is $0.096. Or another way to look at it, it costs $0.096 to use 1,000 watts. What a bargain! Less than a dime! So, to calculate the cost of running that one fixture for a month, multiply the cost of a kilowatt hour by the number of kilowatts used. ( $0.096 x 36 kilowatts ) Thus, the fixture costs $3.46 to run. To find the monthly cost of a three tier plant stand multiply the cost of one fixture ( $3.46 ) times 3. So, a three tier plant stand under these circumstances would cost $10.37 a month in electricity. You need to use your own figures as utility rates vary. Now that you know exactly what fluorescent lights cost to run, I’m sure your busy trying to find space for a light stand. Happy violeting. 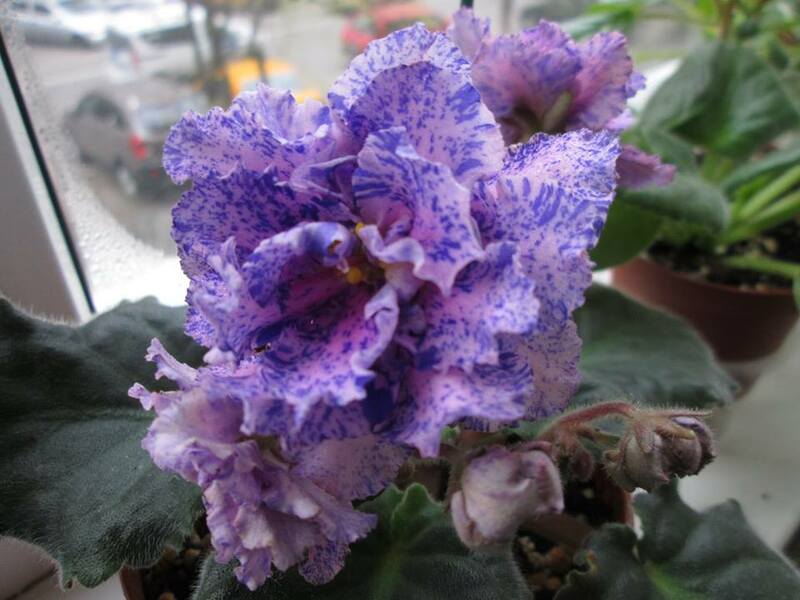 Be a friend to your plants by providing desperately needed additional humidity for them when it’s hot and dry season. Use things like trays of water for evaporation and mist them when temperatures are rising. Morning is a good time to mist; just be careful that sunlight doesn’t fall on the leaves. 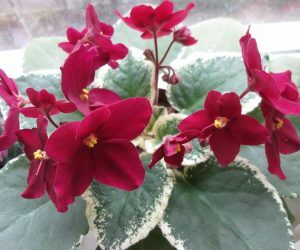 We’ve all heard how we are supposed to isolate new plants for 6 to 12 weeks to check for diseases before introducing them into a collection. Well, how many of us have a separate growing area where the plants can be isolated and continue to grow? What about the problem of periodically adding new plants to the isolation area? 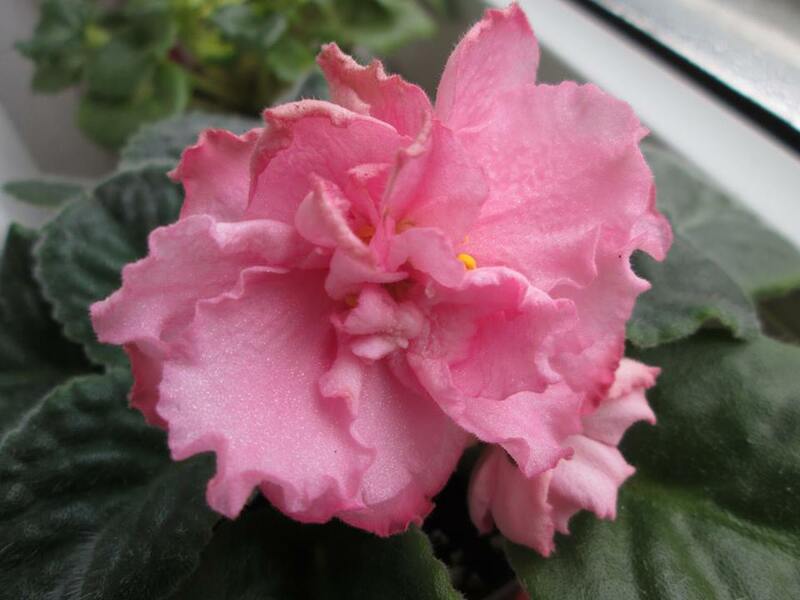 How do we determine when the older plant is OK when it is has had contact with the newer plants? 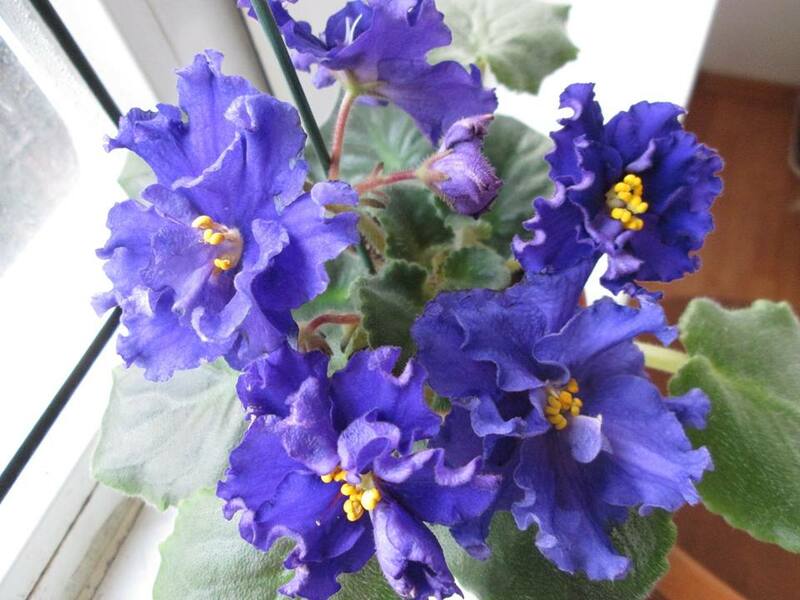 Do you end up with plants all over the house or just put them in the collection and hope for the best? Well, an easy solution to all these problems is bagging plants ( refer to last month’s tips ). Away from the collection, I remove all blooms, groom and re-pot, if needed. Bag in appropriate size bag when the soil is damp, prop bag away from the leaves with plastic picks, blow it up and seal it. Wash your hands thoroughly and put the bagged plant right on your light stand with everything else. ( Do not let sunlight touch it.) It will live happily for months. 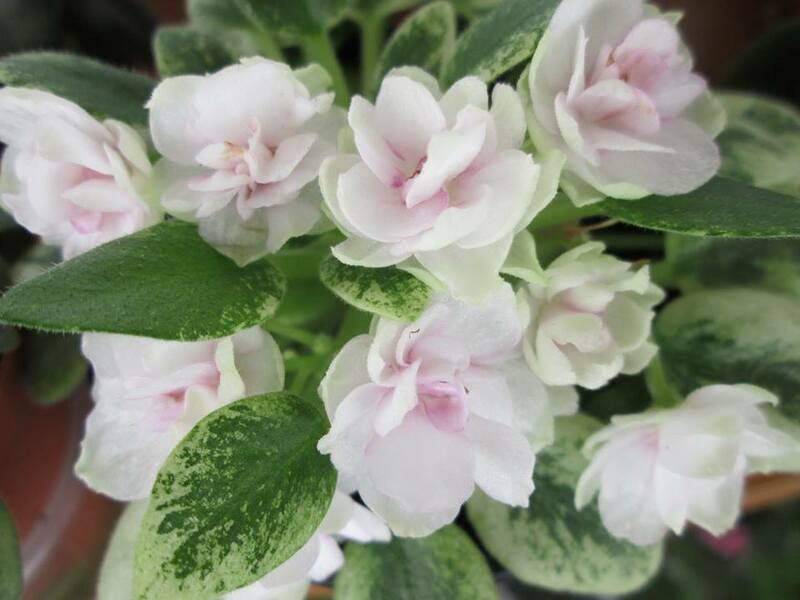 If it needs anything, move the plant away from the stand and work on it, re-bag, wash your hands thoroughly and replace the plant on the stand. The plant can be inspected for diseases without taking it out of the bag and tossed if necessary, and your collection is never compromised. When you leach your plants at the sink, use the opportunity to also wash the foliage. Be sure to blot out the crown and dry away from direct sun. Throw a cheap indoor thermometer on your light stand shelves to monitor the heat put out by your lights. Remember, it gets hotter the closer you get to your lights and a light stand in a still room is a lot hotter than you think the air feels. 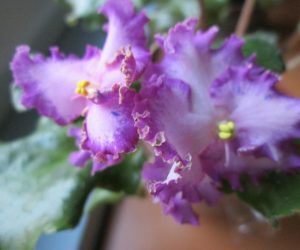 To propagate more of your favorite chimeras, cut the crown off the plant leaving 2-3 rows of leaves on the mother plant (the part in the pot). Pot and bag the crown after removing the bottom row or 2 of leaves. 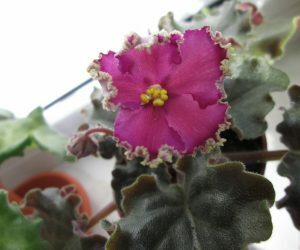 Cut off the next row of leaves from the mother plant with the stem, kind of like a “starfish with legs”. Divide the leaves by cutting the center of the stem like a pie, keeping the leaf attached. Plant the leaves with the stem portion attached as you would a leaf. Keep the remainder of the original plant, suckers should grow from both. You should get a good number of “true” babies from this method, it works for me! Put a small fan on the same timer that runs your light stands to circulate the air. It will help disperse the heat from the bulbs, and keep mildew down. If you have a lot of chimera babies, remember to mark those which have bloomed true. 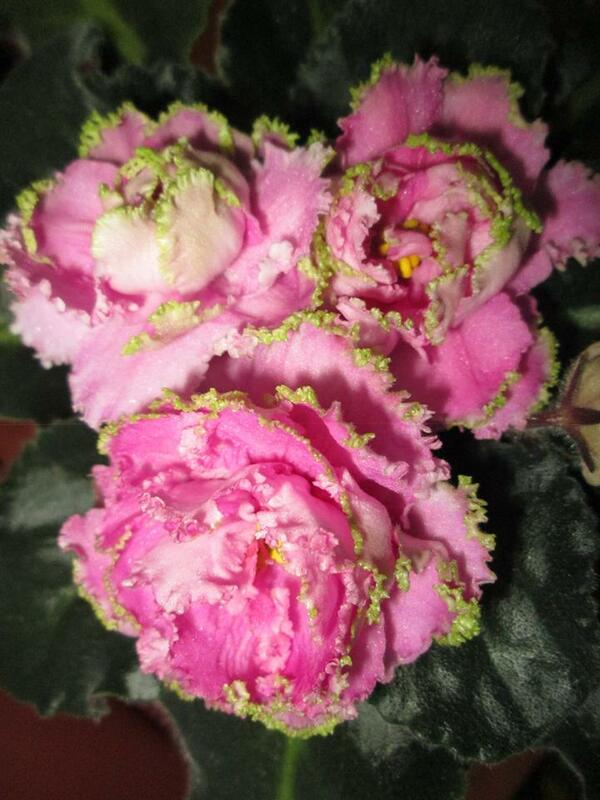 That way, you will remember when the plant doesn’t have any flowers, whether it has bloomed or not. This is very important if you have babies that you wish to sell. 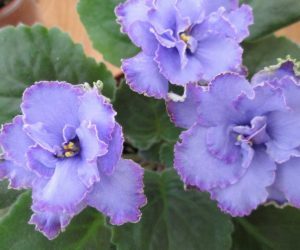 You can sell a plant with confidence if you have written “T” or “true” on the pot and the plant is flower-less at show or sale time. 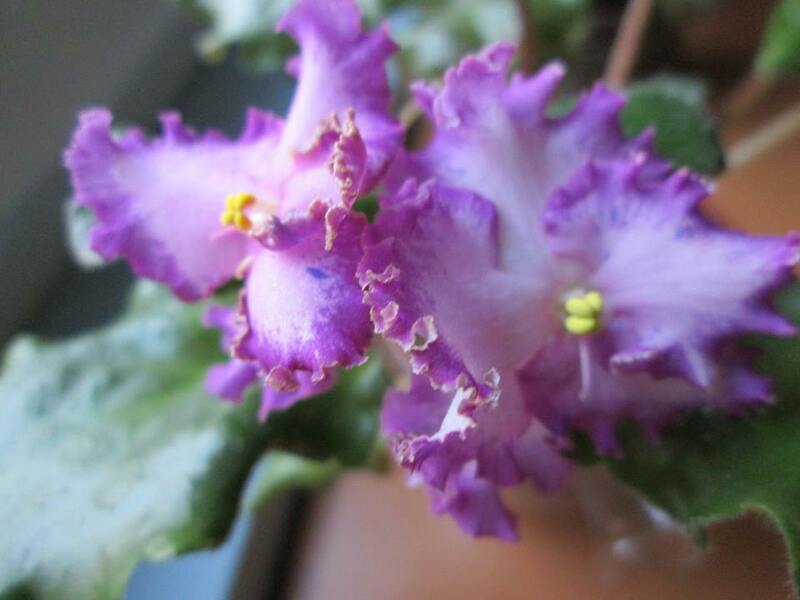 I think that Chimera’s which haven’t bloomed true make great gifts to friends or coworkers who aren’t Violet-aholics, but who just want a pretty plant. Why throw away a perfectly healthy plant just because it doesn’t look like the book says it should. Many plants, such as Suncoast Peppermint Kathy, make beautiful sports from leaves. 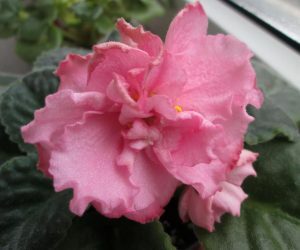 But please don’t sell such a plant if you know it isn’t true to the description. 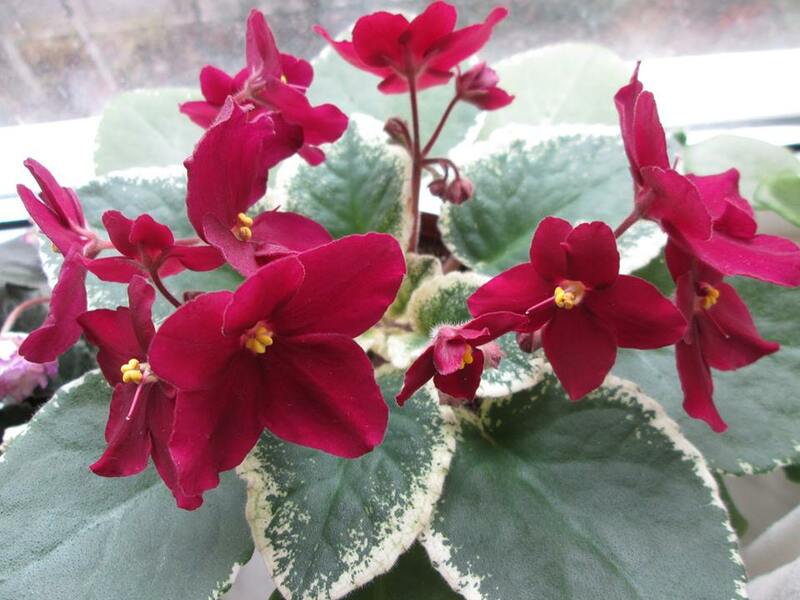 If your plants are outgrowing the space you have, and you don’t want to get rid of any, try removing the outer row or two of leaves and re-pot the plant, this will usually leave you with a healthy size plant, while reducing the space they take. 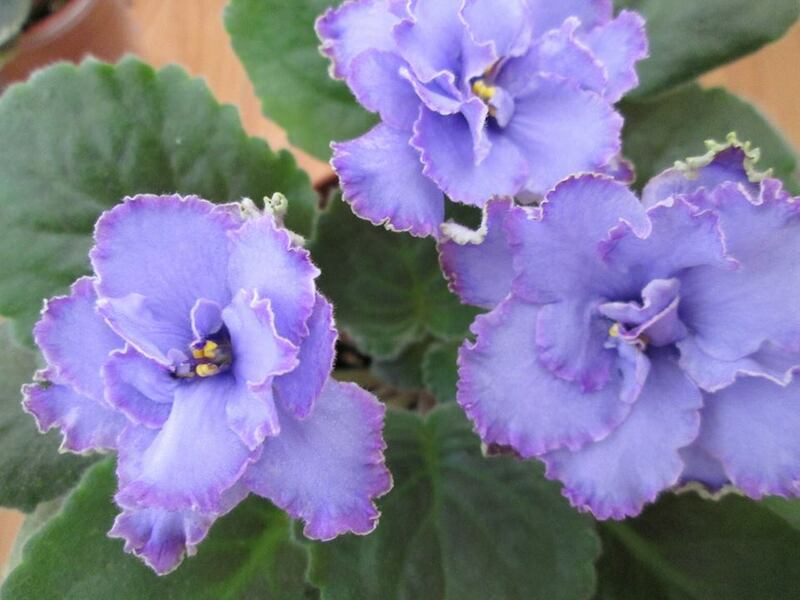 When choosing African Violets, or plants in generally, to show, one of main characteristics to look for is symmetry. When comparing plants for symmetry check for twisted leaves, pedicels, and gaps between leaves. 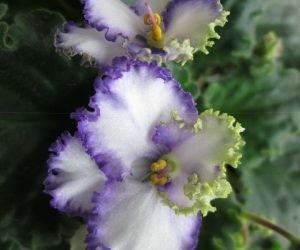 If a plant grows with a many open spaces in the leaf pattern, you may be able to get it to fill in by controlling light, but that might prove to be more work than you want to put into one plant for a show. Please be aware that many plants show large gaps when they are very young. 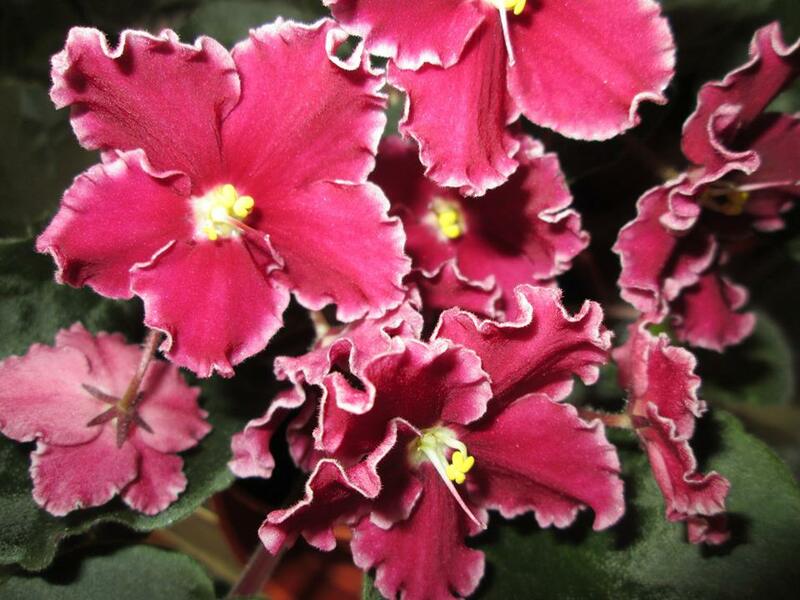 If you can, try to get a look at a mature plant before selecting a young plant to groom for show. Another consideration is twisted leaves or pedicels. If a plant tends to twist toward the light very easily, you are in for a fight in trying to get it to grow symmetrically. You will need to turn such a plant much more frequently than a plant that naturally lays flat and grows in a uniform pattern. 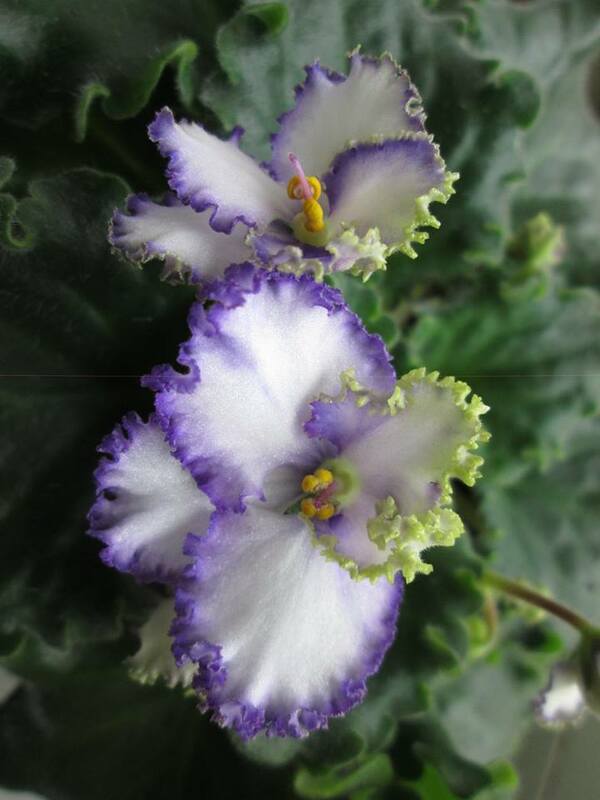 You may be able to make such a plant into a good show plant, but unless you are determined to show a particular plant for it’s exceptional flowers, I would keep the twisting plants for home enjoyment. 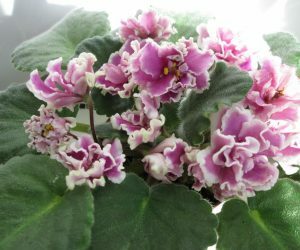 If you are going to try growing for show, you almost have to use fluorescent lighting. 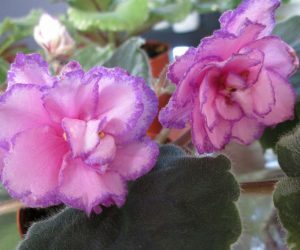 You CAN grow your African Violets in natural light, but unless you have the ideal conditions, you must turn your plants constantly. 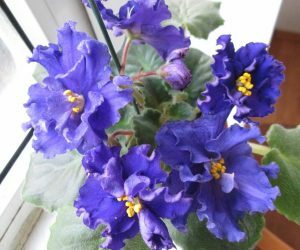 If you are growing under natural light, try turning your plants 1/4 turn daily, or 1/2 turn every other day; that way you can keep the symmetry. Even under fluorescent lights, you must turn your plants, but I find that you can keep a good symmetry with 1/4 turn every 2 or three days, depending on the plant’s nearness to the lights. 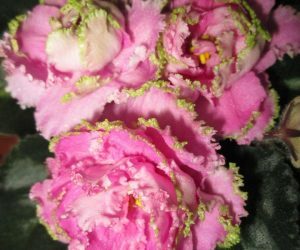 More sensitive plants such as those with frilly or Girl type foliage, can be kept near the ends of the light bulbs for more of a loose growth pattern. 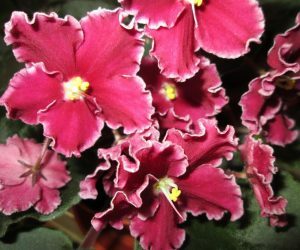 Those which tend to be “leggy”, or require more light can be kept in the center portion of the bulb, where the intensity is greatest. Experimentation will let you know where a plant wants to be. 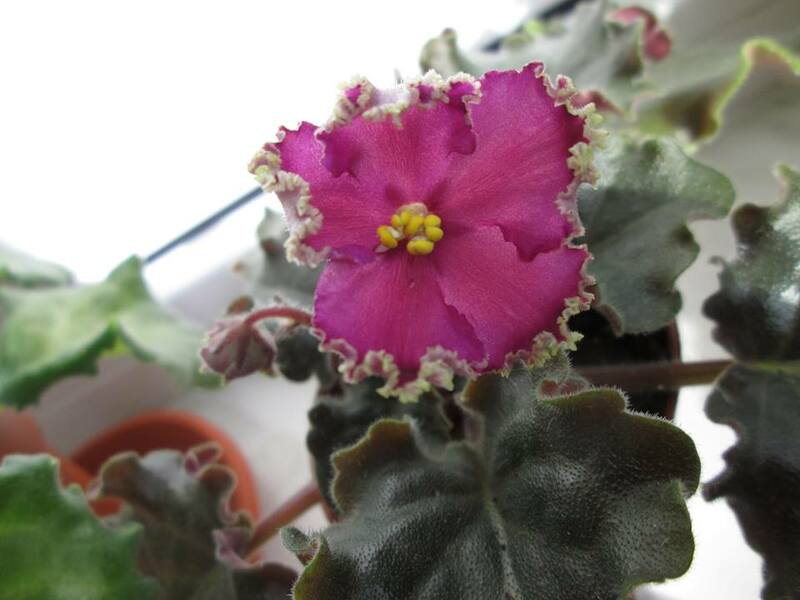 If you find a plant getting too tight in the center, try moving it to the edge of the lights for a week or so to lessen the amount of light received. 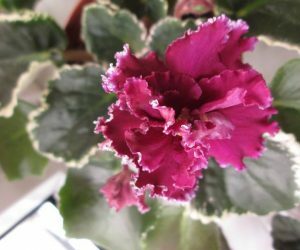 Blow on the crown of the plant after leaching, or washing to disperse excess water that has pooled on the crown, or use one of the readily available “canned air” products to do it for you . 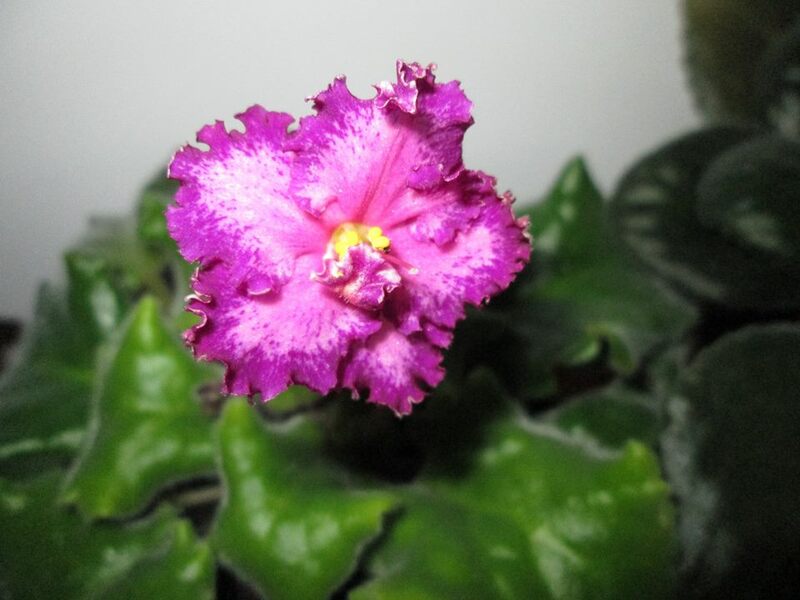 Keep a record of your plants and how they bloom on a 3×5 card to see how they do over time, this will let you know how it may perform for the show. 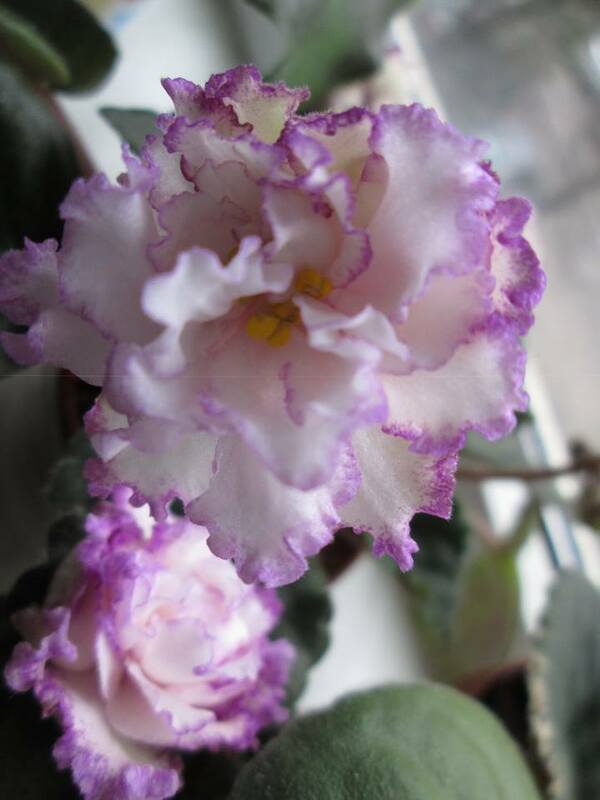 Use white scotch plastic tape, the kind used for vinyl repair for labeling your African Violets pots. The tape can be reused, and saves time making a new label for the new pot, as well as saving time trying to remove the old label to reuse the old pot. 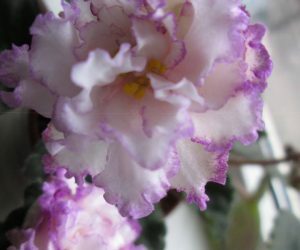 If some of your plants are getting too much light when you replace your bulbs, put a layer of tissue on the center of the plant for a week or two to filter out the light. Epicias are easy to grow, if several points are kept in mind. 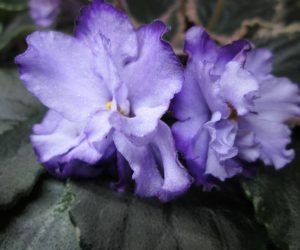 They like less light than African Violets, so put them on the ends of light stands. 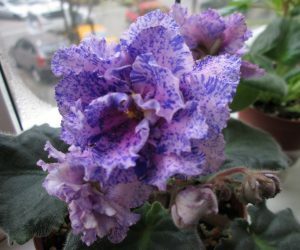 They like lighter and dryer soil than African Violets, so add extra perlite. They like a little less fertilizer, so weaken it.